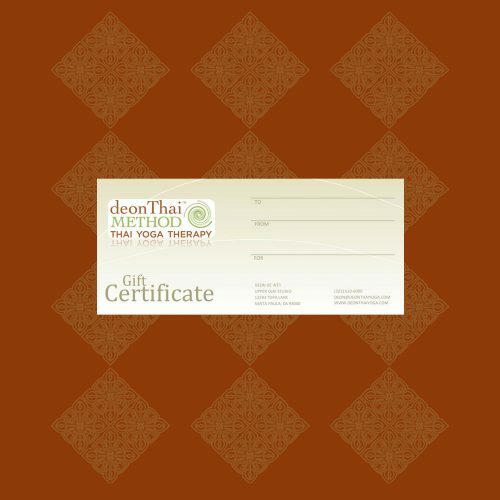 Purchase a Gift Certificate for a private Treatment or Coaching session with Deon de Wet at one of his therapy studios in California or North Carolina. 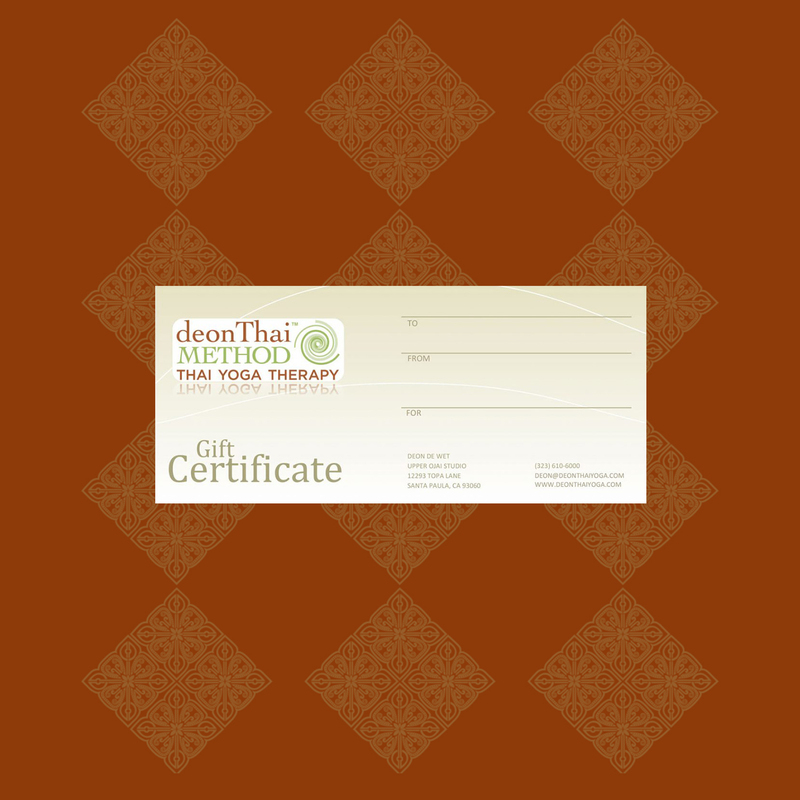 Purchase a Gift Certificate for a Thai Yoga Therapy session with Deon de Wet at one of his treatment studios in California or North Carolina. Or get treated at another location of your choice, within 90 miles of one of his regular studios in Ojai, CA or Wilmington, NC. Please click here for a special quote or to discuss any circumstances not listed.